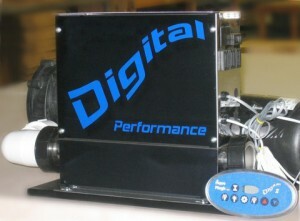 Digital Spa Pack and 4.0 H.P. pump (230VAC) skid mounted. Unit ready to install in your spa. Just connect electrical power and water lines (2.0 in. dia.) and you are ready to enjoy your spa in no time. Limited 5 year warranty on the pack and pump.